Recently, the cannabinoid receptors CB1 and CB2 were shown to modulate bone formation and resorption in vivo, although little is known of the mechanisms underlying this. The effects of cannabinoids on mesenchymal stem cell (MSC) recruitment in whole bone marrow were investigated using either the fibroblastic colony-forming unit (CFU-f) assay or high-density cultures of whole bone marrow. Levels of the CB1 and CB2 receptors were assessed by flow cytometry. Treatment of CFU-f cultures with the endocannabinoid 2-arachidonylglycerol (2-AG) dose-dependently increased fibroblastic and differentiated colony formation along with colony size. The nonspecific agonists CP 55,940 and WIN 55,212 both increased colony numbers, as did the CB2 agonists BML190 and JWH015. The CB1-specific agonist ACEA had no effect, whereas the CB2 antagonist AM630 blocked the effect of the natural cannabinoid tetrahydrocannabivarin, confirming mediation via the CB2 receptor. 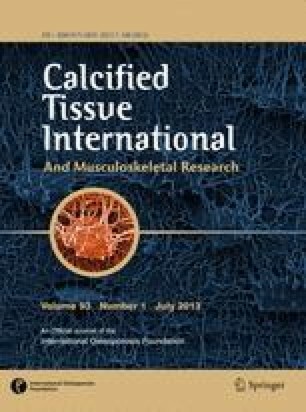 Treatment of primary bone marrow cultures with 2-AG stimulated proliferation and collagen accumulation, whereas treatment of subcultures of MSC had no effect, suggesting that the target cell is not the MSC but an accessory cell present in bone marrow. Subcultures of MSCs were negative for CB1 and CB2 receptors as shown by flow cytometry, whereas whole bone marrow contained a small population of cells positive for both receptors. These data suggest that cannabinoids may stimulate the recruitment of MSCs from the bone marrow indirectly via an accessory cell and mediated via the CB2 receptor. This recruitment may be one mechanism responsible for the increased bone formation seen after cannabinoid treatment in vivo. The authors thank THC Pharm for the kind gift of the natural cannabinoids used in this study.